The Pontiac LEMANS Perfect Fit™ air conditioning system is designed specifically to bolt into your Pontiac LEMANS with minimum modification to your vehicle. In some Pontiac LEMANS installations, only one hole needs to be drilled into your car. 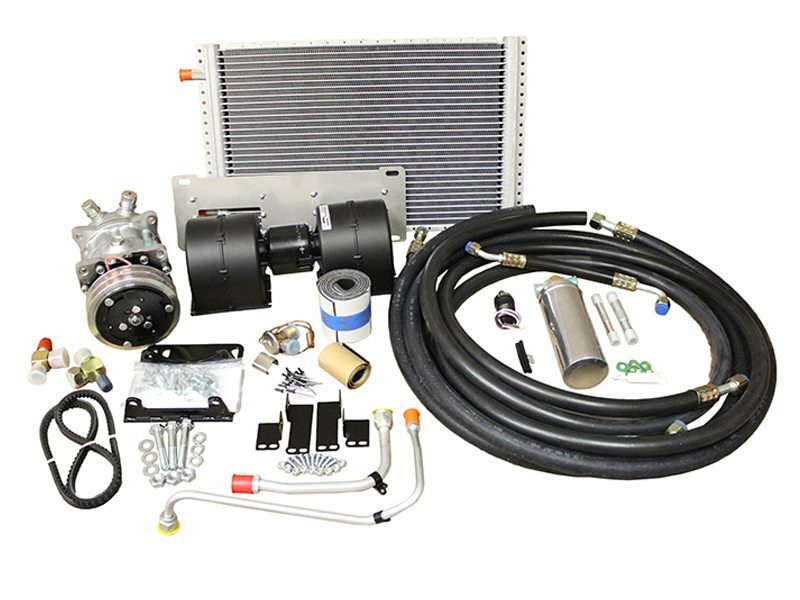 A Perfect Fit™ Kit gives you every high-performance A/C component you need to RETROFIT your classic heat-only Pontiac Lemans A/C. 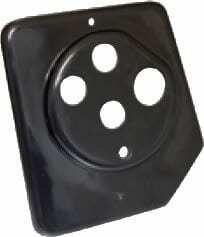 OEM parts for your classic Pontiac Lemans A/C restoration project. Perfect Fit™ air conditioners use your original Pontiac LEMANS heater controls and provide you with powerful air conditioning out of the dash louvers, heat on the floor, and dehumidified defrost. Designed for your specific year and model Pontiac LEMANS. The Pontiac LEMANS air conditioning features a flat firewall for a clean look, Air conditioning louvers are in-dash. Installed system gives you dash a/c, heat on the floor, and dehumidified defrost. Stock heater control panel is utilized. Our Pontiac LEMANS Air conditioning compressor features Hi/Low pressure switch for compressor protection. Installation’s a breeze! Click here for our very detailed, photo illustrated, Pontiac LEMANS air conditioning installation instructions. 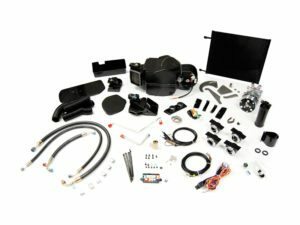 Each Perfect Fit™ air conditioning kit comes standard with the components you need to RETROFIT your classic Pontiac LEMANS. You’ll be living with cool comfort featuring the latest air conditioning technology built into the best-designed climate control system on the market today. What makes our Pontiac LEMANS air-conditioning Perfect Fit™ kit the market leader? High performance. Every single AC component is chosen based on its superior design and overall quality rather than a low cost. A smaller A/C system is never better when it comes to cooling a high-powered, classic Pontiac LEMANS. This Model-Specific Perfect Fit Elite™ kit allows you to RetroFit your Pontiac LEMANS to full air-conditioning, easily and professionally. 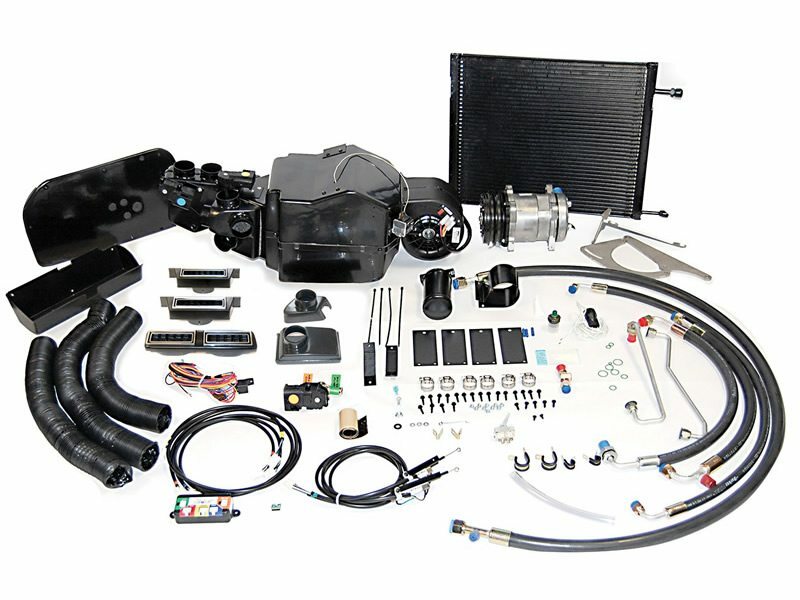 This Fully Electronic system is engineered specifically to use your OEM heater or air conditioning controls to keep the factory look of your Pontiac LEMANS. The exclusive ECU allows for infinite adjustability over all modes, providing you with powerful air conditioning, heat on the floor, and dehumidified defrost. Using just basic tools you’ll be able to install this kit with a minimum of modifications. It’s easy to get OEM quality with better than original performance and reliability! This model specific Perfect Fit ELITE™ system allows you to retrofit an original, standard, Pontiac LEMANS with full air-conditioning. Our system is engineered specifically to use the original Pontiac LEMANS heater controls using our simple EZ Cable integrators and EZ Wire system. The new fully electric Perfect Fit ELITE™ system uses our ECU to allow infinite adjustability over all modes, providing you with powerful air conditioning, heat on the floor, and dehumidified defrost. The air conditioning and defrost connect to the original heater-defrost diffusers. The Perfect Fit ELITE™ Pontiac LEMANS air conditioning system is designed specifically to bolt into your Pontiac LEMANS with minimum modification to your vehicle. Each kit comes with detailed, easy-to-follow installation instructions and mounting template. The Perfect Fit ELITE™ Pontiac LEMANS air conditioning system is engineered to actually fit your Pontiac LEMANS. Not a single unit that is adapted to fit a whole product line like competitors. It comes equipped with carefully sized, large, separate A/C and Heat coils just like factory (OE) systems, not combined A/C/Heat coils often found on aftermarket systems. By using separate coils we improve the cooling and heating capacity of the total system. This makes you cooler much faster! AutoCad/3D Prototyping: Classic Auto Air fully utilizes AutoCad/3D modeling in the development of new products. Our in-house design department is cutting-edge cool.